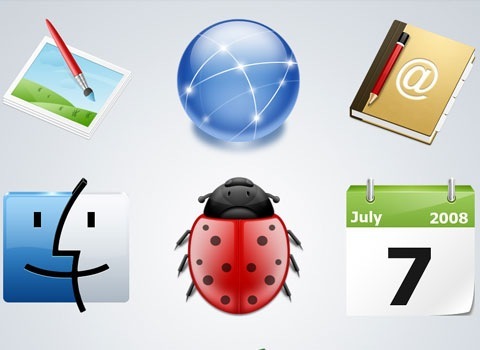 A well designed remarkable collection of carefully hand picked best icon sets created in 2010. 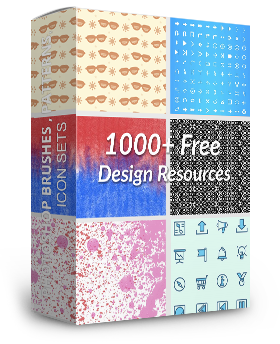 If your looking for the best icons sets which are fresh new sets which have all be well designed and worth checking out . A great resource for bookmarking for future reference. Furry Cushions Social Icons, a set with 6 transparent furry social icons in .png. This set was designed by Andrea Austoni and released especially for Noupe and its readers. A cool camera icon created using photoshop. The two beautiful social media icon sets we have on offer today have been designed by the talented Helen Gizi, from pinkmoustache.com, exclusively for the readers of Speckyboy Design Magazine. These 50 icons are released under Creative Commons Attribution-No Derivative Works 3.0 and can be used commercially – just don’t redistribute them without written permission. This set was designed by MediaLoot founder Jon Phillips with a unique new style. Each icon has a metallic looking frame around it, and they work really well on almost any color background. 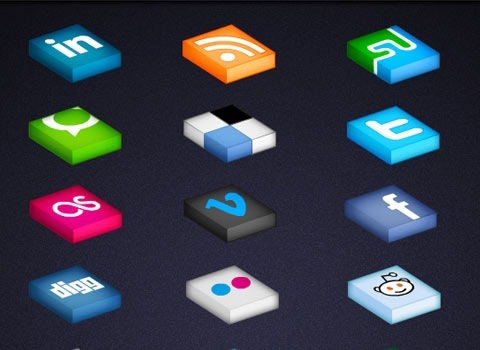 This free social media icon pack includes 25 sleek, modern and very usable social media/networking icons that can be used and downloaded (free of charge) in your work. Commercial work use is permitted. Use it on blogs, portfolios, web application interfaces, and so forth. The icons come in 2 sizes: 32×32px and 16×16px. 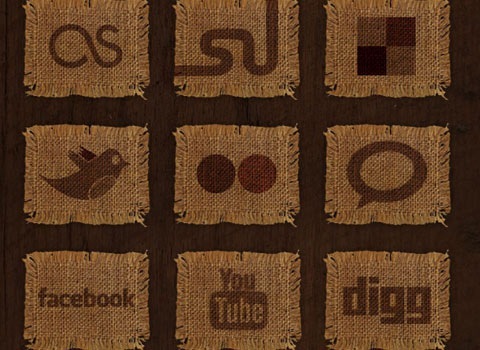 Twitter, Facebook, StumbleUpon, and Digg are but a few icons that are in this free social media icon pack. As a designer that at one time had the ambition to become an illustrator, you can imagine I miss the hands-on work quite a bit. 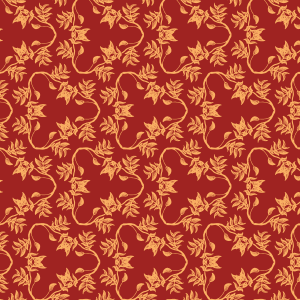 I look for any opportunity I can get to incorporate drawing in design. It’s an easy thing to overlook given the modern day design styles, but it’s important to go back to your roots sometimes. 16. 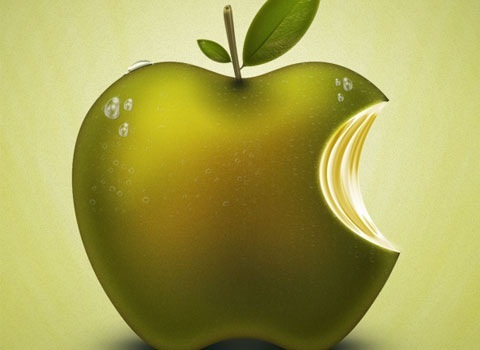 20 Amazing 3D social icons! 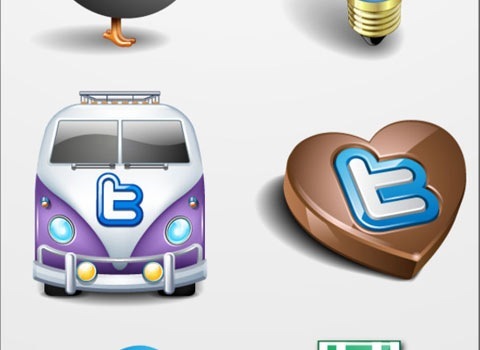 A massive collection of twitter icons. Ten social icons depicting spacious trucks to deliver your tweets, links and status updates across all major social networks. No traffic jam can stop them! This was kinda’ an experiment, wanted to try OLED style, like small displays. 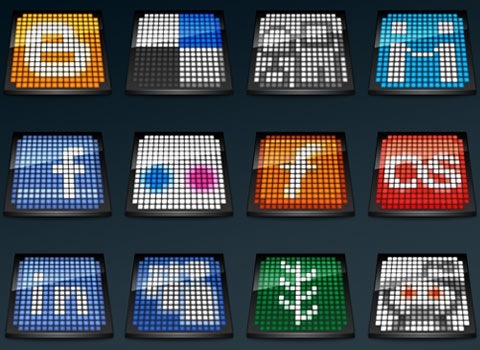 Basically, every icon is 16x16px OLED display, glowing dots & stuff. Why there’re so many geeks and high-tech icons? Enjoy all these stuff belong to an outdated mattoid’s collections in his dusty attic in the 18th or 19th century! Back in October 2008 I posted a free set of hand drawn doodle icons for bloggers, featuring sketchy versions of a bunch of popular icons relating to the blogging world. Given the popularity of this set, I planned ever since to release an updated icon pack. 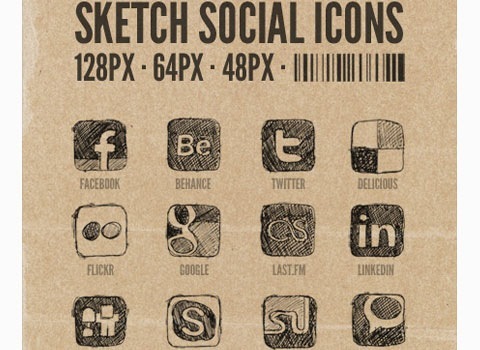 This new collection of 16 sketch social icons includes logos from all your favourite social networking and bookmarking sites, including Facebook, Digg, Twitter and more. This release is a set of candy themed social media icons designed exclusively for Onextrapixel by Helen Gizi, a talented self-taught graphic designer. The candy theme has been created especially to suit the wonderful candy treats of Onextrapixel. A creative brush icon illustration. Free for personal non-commercial use, Includes a link back to author site. Today we have another exclusive free icon-set for our readers. Designed by our friends from Iconshock.com, the set is called The Speckyboy Toolbar Icon Set, containing 10 glorious and beautifully designed 256px icons in PNG format and are perfect for any web design project. Also included in the download are the AI source files. 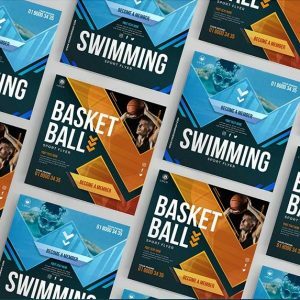 I’ve been a happy user of DesignBump, a site where you can share, save, vote on, and discover the best design related links from around the web. 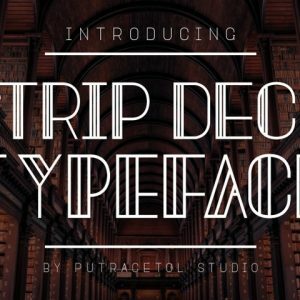 So when they launched their very own design blog, I decided to contribute for them. 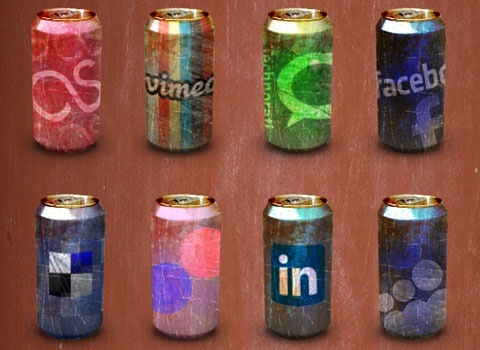 For my very first contribution, I’ve created for them the Worn-Out Soda Cans Social Media Icon Pack. Officially these icons are dual licensed under the GPL and MIT licenses. So here’s the submission of another icon pack to my gallery after approx 4 months of work , the pack contains icons of many varieties. Wear these icons every time you socialize online. 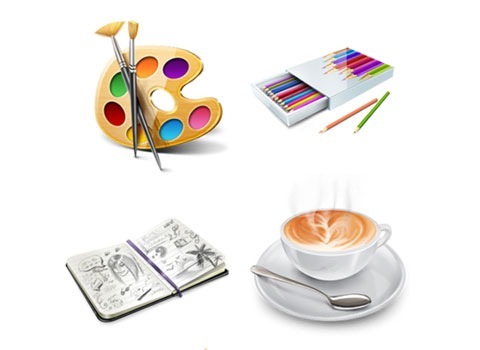 This set includes five icons of typical office items. The icons are free for personal or commercial purposes, and they are available below as PNG files or as Adobe Illustrator files. The icon pack is now ready, and contains 5 PNG icons at 256×256 pixels and also the Illustrator(AI) source file. In this package, you’ll find the following icons: Media Player, Firefox, HDD, PC and Folder. It’s Freebie Friday at the Cute Little Factory! 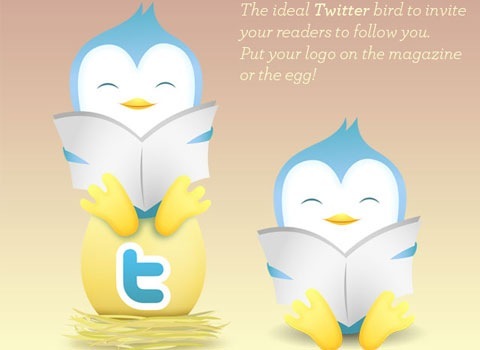 Download the perfect Twitter mascot for your website! 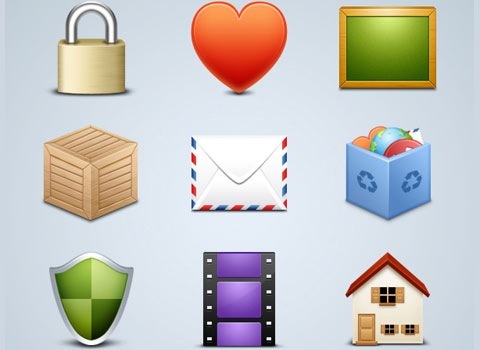 A nice simple but at the same time well designed sophisticated icon set which can be used in the interface of an app. This beautiful icon set is available to be used in commercial design project an non commercial design projects. We represent the set of icons for free download. These icons were made for training and we would like to share with you our creative work. We like plush toys and we hope that you appreciate this set of icons. 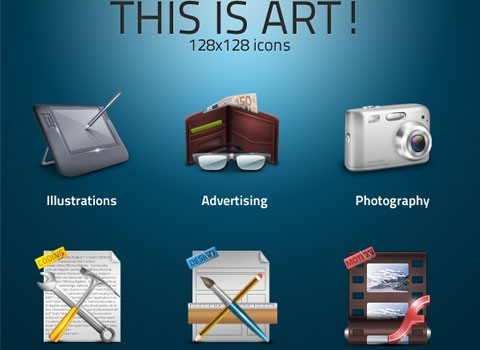 inal version of the set, an extensive pack with over 750 free icons (48×48px) for designers and Web developers. 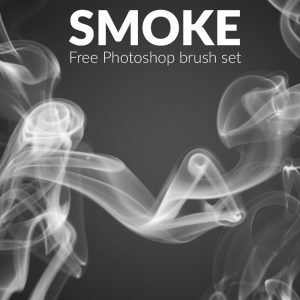 The .PSD-sources are available for free download as well. 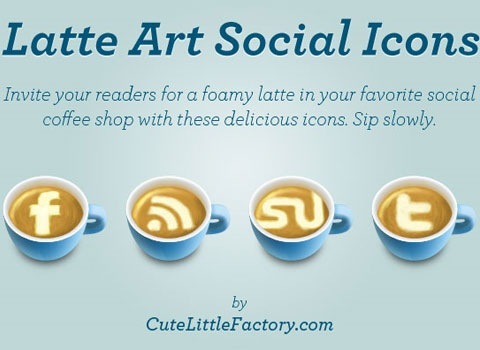 There’s no best way to invite your readers for a social coffee than to use these beautiful latte art icons on your blog! Today we are glad to release a Designer’s Portfolio Icon Set, a set with 12 original high-quality icons in the resolution 256×256px. This set was designed by MediaLoot and released especially for Smashing Magazine and its readers. 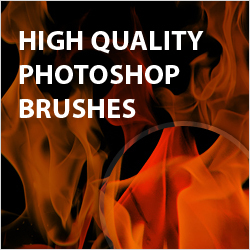 Both layered PSDs and transparent PNGs are included. the set contain 11 type icon with total 42 icons. Hope you like it! An awesome photogrpahy icon set. Next in a series of admittedly odd freebies is this bunch of icons inspired by key scenes from cult movies. Not only is the subject matter weird, the icons themselves depict the most disparaged objects. Icons created using Photoshop CS4. These icons were done long time ago as someone request me, intend to use these icons to make Firefox’s theme, but I think the roughness of icon made it hard to create theme. 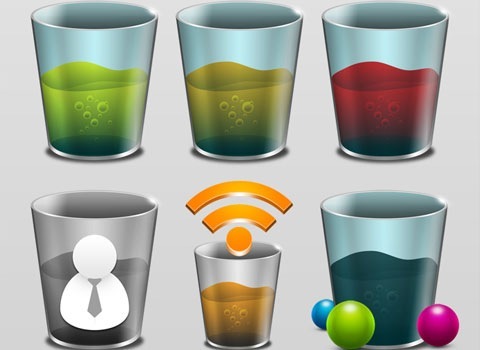 Aa ye, these icons are just needed to satisty one’s Web 2.0 mania ! A beautiful set of elegant, detailed icons created them for all my female readers. This is a great roundup, finally some fresh icon sets (and I’m not talking about mine). Numbers 13, 17, 41, 26 & 48 are pretty cool! Great Icons! I’ve seen some before, but there are some awesome new ones. Great Collection Thanks For The Share..
Good Men, Trank For The Share. God bless You. These are really cool icons. I love the plush ones!